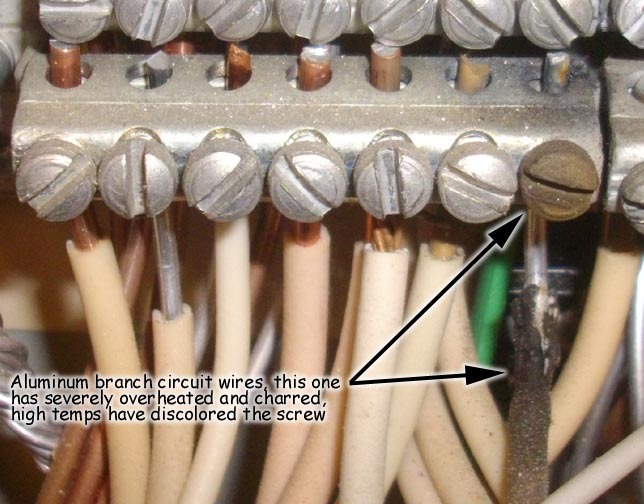 Aluminum branch circuit wiring - Always have your panels checked!! What dangers are lurking in your electrical panel? We always look at electrical panels for many common hazards. In a recent inspection, we found this neutral bar with several aluminum branch circuit wired connected to it. The charring of this wire tells the story, this family is lucky they still have a house, and their lives! 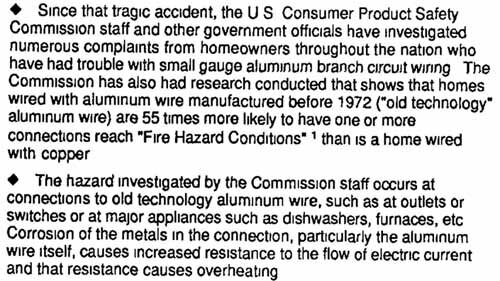 Read more about aluminum branch circuit wiring at Consumer Product Safety commission.